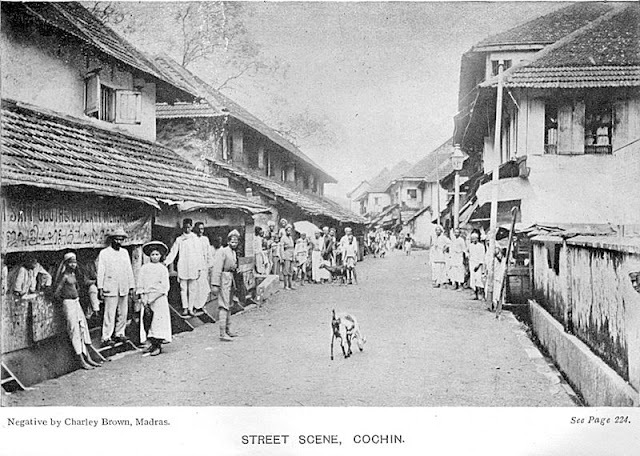 Kingdom of Cochin (also known as Perumpadappu Swaroopam, Mada-rajyam, Gosree Rajyam, or Kuru Swaroopam; Malayalam: കൊച്ചി Kocci or പെരുമ്പടപ്പ്‌ Perumpaṭappu) was a late medieval Hindu kingdom and later princely state on the Malabar Coast, South India. Once controlling much of the territory between Ponnani and Thottappally, the Cochin kingdom shrank to its minimal extent as a result of invasions by the Zamorin of Calicut. When Portuguese armadas arrived in India, Cochin was in vassalage to Zamorin and was looking for an opportunity to break away. King Unni Goda Varma Tirumulpadu (Trimumpara Raja) warmly welcomed Pedro Álvares Cabral on 24 December 1500 and negotiated a treaty of alliance between Portugal and the Cochin kingdom, directed against the Zamorin of Calicut. Cochin became a long-time Portuguese protectorate (1503–1663) providing assistance against native overlords. After the Portuguese, the Dutch East India Company (1663–1795) followed by the English East India Company (1795–1858, confirmed on 6 May 1809), protected the Cochin state. 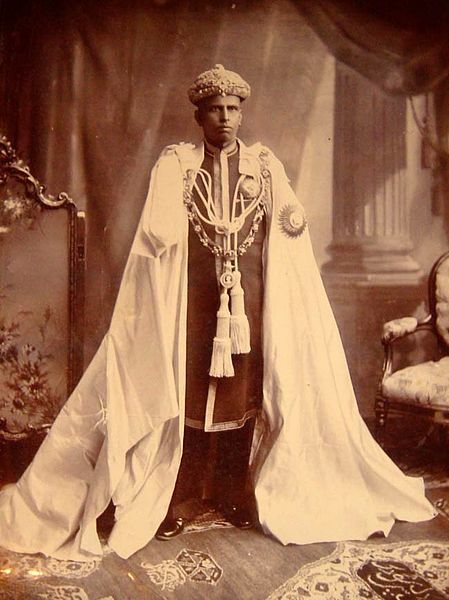 Even today, the full official designation of the Raja of Cochin is “Perumpadappu Gangadhara Veera Kerala Thrikkovil Adhikarikal”. The Kingdom of Cochin, originally known as Perumpadappu Swarupam, was under the rule of the Later Cheras in the Middle Ages. 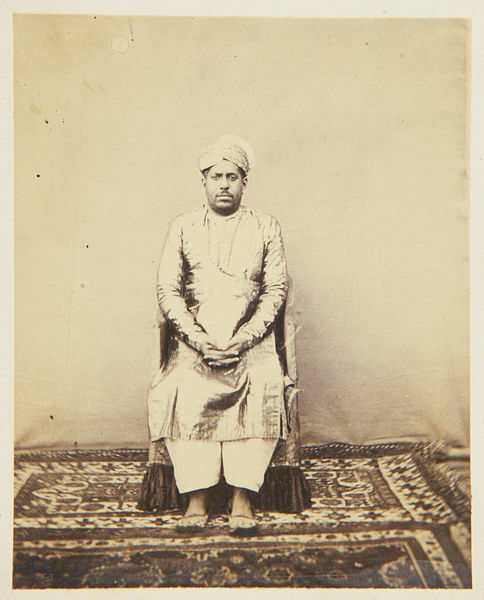 The Nambudiri (the Brahmin chief) of Perumpadappu (not the current time Perumpadappu in Ernakulam District, but an area which include Chitrakuda in Vannery nadu, of the present day Ponnani taluk) had married the sister of the last Later Chera king, Rama Varma Kulashekhara, and as a consequence obtained Mahodayapuram, and Thiruvanchikulam Temple along with numerous other rights, such as that of the Mamankam festival. After the fall of the Mahodayapuram Cheras in the 12th century, along with numerous other provinces Perumpadappu Swarupam became a free political entity. However, it was only after the arrival of Portuguese colonizers on the Malabar Coast did the Perumpadappu Swarupam acquire any political importance. Perumpadappu rulers had family relationships with the Nambudiri rulers of Edappally. After the transfer of Kochi and Vypin from Edappally rulers to the Perumpadappu rulers, the latter came to be known as kings of Kochi. Ma Huan, the Muslim voyager and translator who accompanied Admiral Zheng He on three of his seven expeditions to the Western Oceans, describes the king of Cochin as being a Buddhist. 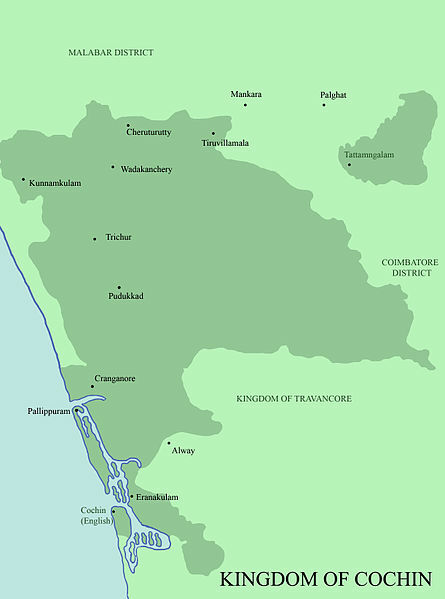 The Cochin kingdom (the Princely State) included much of modern-day Thrissur district excluding chavakkad taluk, Alathur & Chittur Taluks of the Palakkad district and Kochi Taluk (excluding Fort Kochi), most of Kanayannur Taluk (excluding Edappally), parts of Aluva Taluk (Karukutty, Angamaly, Kalady, Chowwara, Kanjoor, Sreemoolanagaram, Malayattoor, Manjapra), parts of Kunnathunad Taluk and parts of Paravur Taluk (Chendamangalam) of the Ernakulam district which are now the part of the Indian state of Kerala.